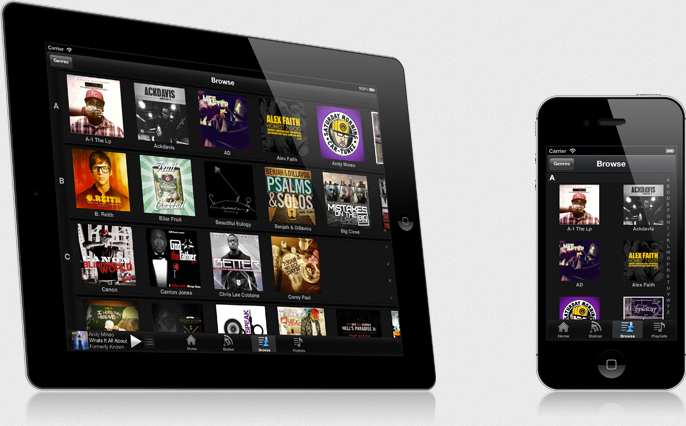 The featured albums spin on a carousel (iPhone) and slide on a floor (iPad) letting you swipe to navigate. The lower half lets you swipe up and down to see more albums, the new and top ones. Each album can be tapped to view the tracks. Tap a track to hear the song. Listening is only 2 taps away. All for free. Just like it was intended. Three potential tracks can be played, and once it starts playing it continues playing more on its own, like a radio station. It randomly plays every single track available on the Sola Tunes app (no skits or interludes, just music). Giving you an easy way to hear new music without browsing for it first. Press play, ready ears... Done. Every artist is available in one easy to navigate place. 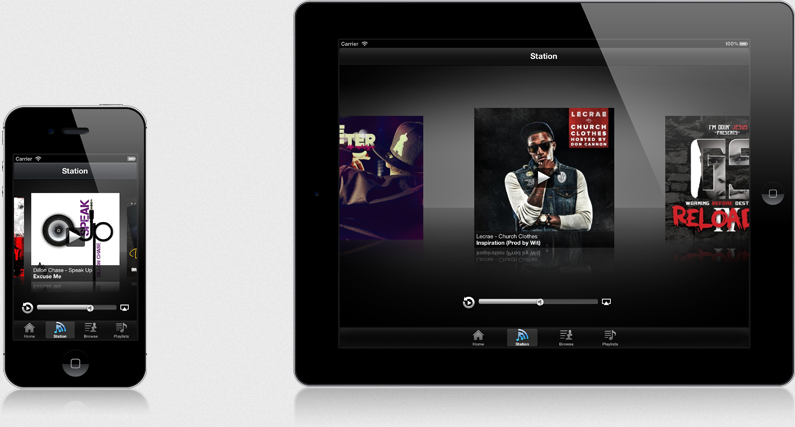 Scroll effortlessly to see more of the showcased artists and tap to see their albums. Simple. This is where the fun begins. 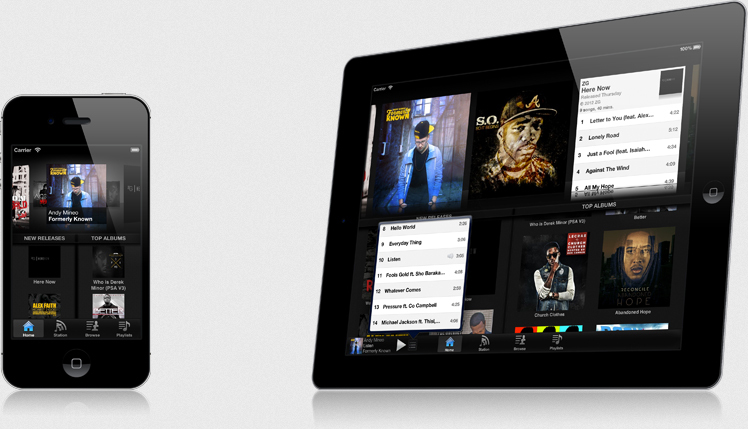 Play music like you normally do, but now you can get connected even more with the artists you enjoy. From here you are given access to an artist bio, recent tweets, and iTunes Store so you can show your support in more ways than one. Join the movement and keep it moving! 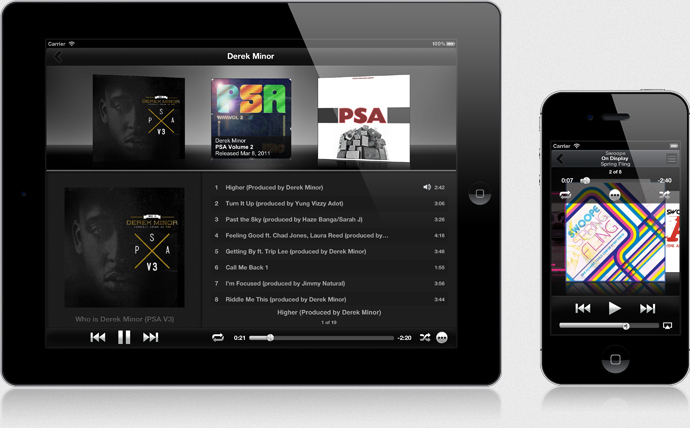 As an added bonus, you can see the music in "Now Playing" mode, making that iPhone/iPad stand more useful than ever. Oh yeah, it also supports background playback, lock screen info and artwork, and even AirPlay. What else do you need to play some of the best music available, maybe a sold out stadium?